Seadrill, controlled since its founding by Norwegian shipping magnate John Fredriksen, aimed to be the world’s largest offshore offshore drilling contractor. It was already burdened with heavy debt, though, when oil prices collapsed in 2014, prompting it to ultimately file for bankruptcy protection last week in a move now aimed at reviving its fortunes. The company has stressed that “all normal day-to-day operations” will continue throughout the bankruptcy process that allows a US court-supervised restructuring of Seadrill’s business. The bankruptcy is nonetheless a blow to Fredriksen, who generally has excelled in the businesses he enters, from tankers to salmon farming. He remains Seadrill’s biggest shareholder, and he and Seadrill’s banks had to agree to the restructuring that involves loan repayment extensions and dilution of share value. It was the debt drama that ultimately prompted Seadrill, which has a major office in Houston, for file for protection from creditors under Chapter 11 of the US Bankruptcy Code. Newspaper Dagens Næringsliv (DN) reported over the weekend that the drama actually began earlier than most players in the once-booming oil and gas industry realized, and that the debt burden was heavier than Seadrill had communicated. 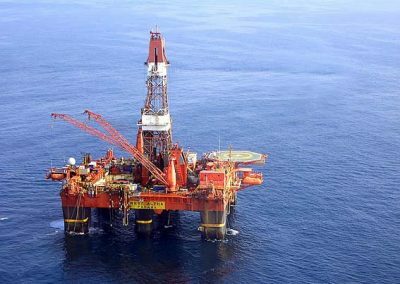 Seadrill officials have mostly blamed the oil price collapse and subsequent downturn in the oil and gas industry for its problems. The dive in oil prices was perhaps more of a catalyst, since court documents reveal that Seadrill’s debt already amounted to around USD 15 billion in 2014 plus another USD 4 billion in payments due on 14 new rigs being built at the time. The company also faced USD 1.1 billion worth of future leasing obligations. When oil prices plummeted from more than USD 100 a barrel to below USD 30, Seadrill found itself in crisis. New oil and gas exploration projects dried up and demand for Seadrill’s rigs dropped sharply. The company still claims a fleet of 68 “versatile” rigs consisting of drillships, jack-ups, semi-submersibles and tender rigs. DN reported that Seadrill’s troubles were rooted in the great ambitions of the now-London-based Fredriksen and his deputy at the time, Tor Olav Trøim, who started setting up Seadrill in 2005. Fredriksen has controlled Seadrill since then through trusts that in turn control Seadrill’s largest shareholder, Hemen Holding Ltd. Known as “Big John” in Norway, Fredriksen has long ranked as one of the world’s wealthiest men and always aims to become one of the world’s biggest players in his various business ventures. He and Trøim thus embarked on a string of major acquisitions for Seadrill including Norway’s Stavanger-based Smedvig in 2006. Their timing was good in the Smedvig purchase, coming just before oil prices started to climb and oil companies launched into major exploration programs. Seadrill was largely based on Smedvig’s organization, but DN reported that Smedvig’s conservative philosophy of obtaining long-term contracts for every new rig built was ultimately discarded. 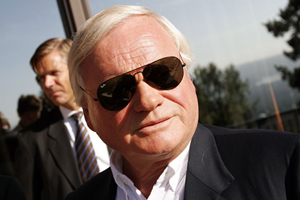 Banks were willing to lend Fredriksen and Trøim large sums of money with collateral in the rigs’ steel and future contracts. By 2013 Seadrill was valued at more than NOK 150 million on the Oslo Stock Exchange. Then oil prices fell, and kept falling. Fredriksen and Trøim also parted company in a highly public and acrimonious divorce of sorts. No one was interested in drilling rigs any more. Generous dividends were suspended by the end of 2014 and since then, Fredriksen has fought hard to save Seadrill from collapse. “Like many companies, Seadrill has been impacted by the continued downturn in the oil and gas industry,” Seadrill stated in its announcement of the bankruptcy filing, still stressing the bad market for its rigs instead of the debt from expansion that came back to haunt the firm. Company officials remain necessarily optimistic: “Restructuring our finances will allow us to build a bridge to the upturn in the industry when fleet utilization and day rates return to more normal levels.” The restructuring plan rests mainly on three elements including postponements of debt repayment deadlines, conversion of debt to shares in the company and injection of fresh capital.